with regret upon the realization of all the lesser pizza you have suffered through till now. for your mind and soul will be flying through the Tuscan country side. suspecting you to be some kind of dark sorcerer. Quickly calm them by telling them "Elon Musk invented it. It's the same material as the rockets." They will vigorously nod and grunt acceptance as they keep chewing. "If you are in the middle of a divorce please just buy a second stone. 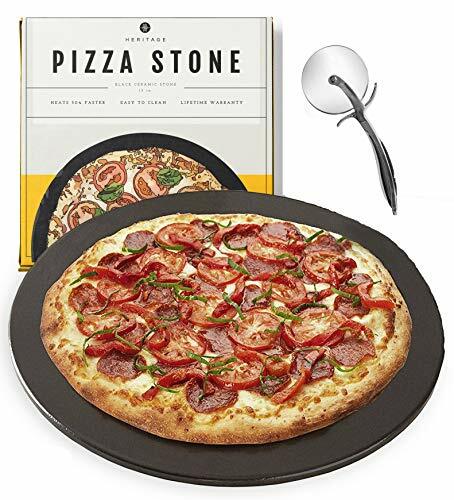  #1 REVIEWED: Most loved pizza and baking stone on Amazon.  DURABLE: Your pizza stone will not crack in the oven and is Guaranteed to last a lifetime.